Hoot Cloud Essential is FREE. Register today. 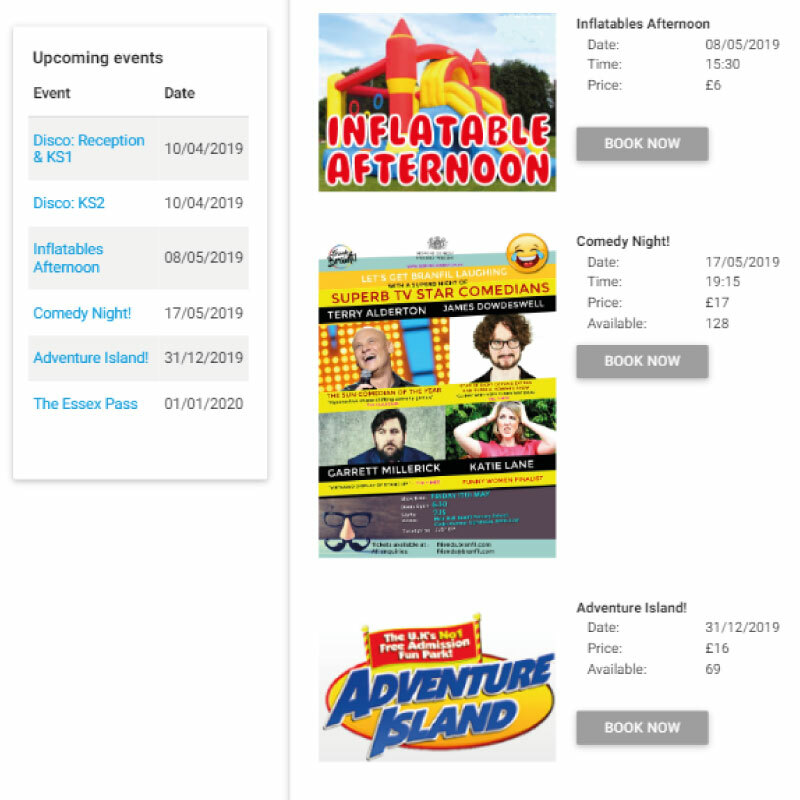 Hoot Cloud is a suite of powerful and innovative tools to help you organise your school Parent Teacher or Friend Association, group or club to communicate with your audience and make money. Our primary focus is our community of users - we encourage your feedback and input to help grow Hoot Cloud into an even more powerful and useful tool. What's more... it's FREE. Hoot Cloud Extra will take Essential to the next level with even more tools and advanced features to further your organisation and efficiency. Lots more premium features coming soon. Find out more. 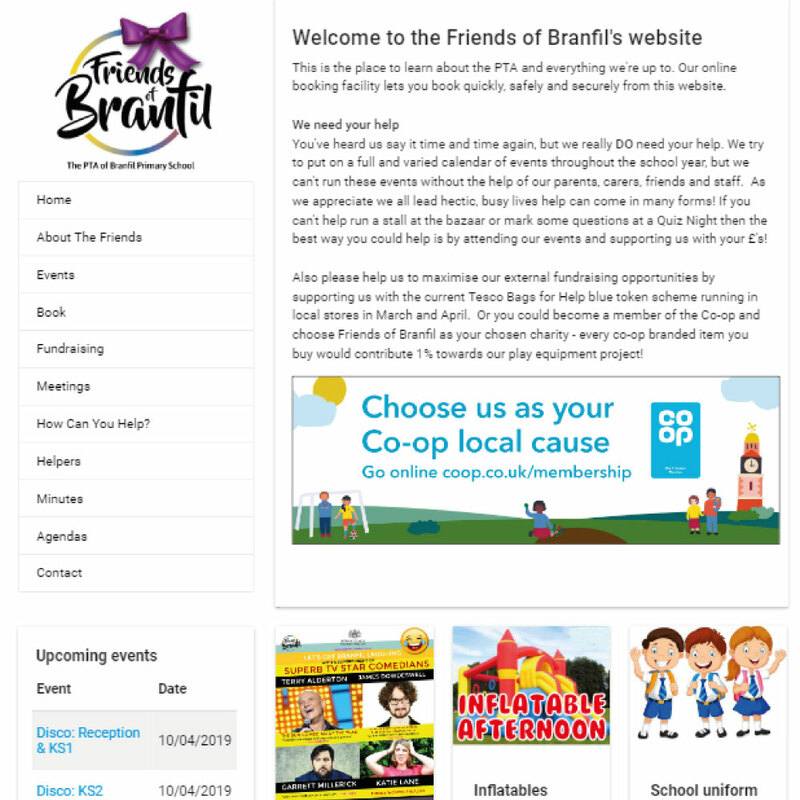 The Friends of Branfil are a primary school Parent Teacher Association in Upminster, Essex. They were one of our first users, so we thought they would be a good Case Study to show you how your group could harness the power and tools of Hoot Cloud. 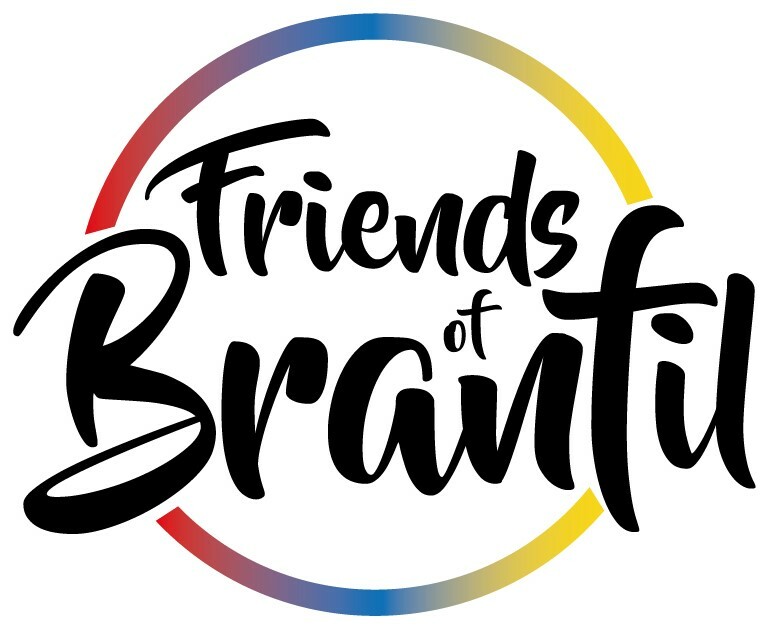 Chris, the Chair of The Friends of Branfil tells us about how Hoot works for them. Our website is the main point of contact for our parents/carers. As such, it needs to be clean and easy to use so that our visitors can quickly find out what is going on and buy tickets for events. Please feel free to visit our site and see how we have configured our Hoot Cloud website. This is Hoot's number 1 feature, in our opinion. We were fed up of standing in the playground in all weathers selling tickets for discos. Now we can tell parents to go to our website and buy quickly and securely online. It saves us SO MUCH time and effort. The system even creates 'tick lists' for us so we can check people off as they come through the door. Hoot lets us create our meeting agendas in a very simple and easy to navigate interface. We can even make the agenda available on our website ahead of the event so attendees can see what's coming. 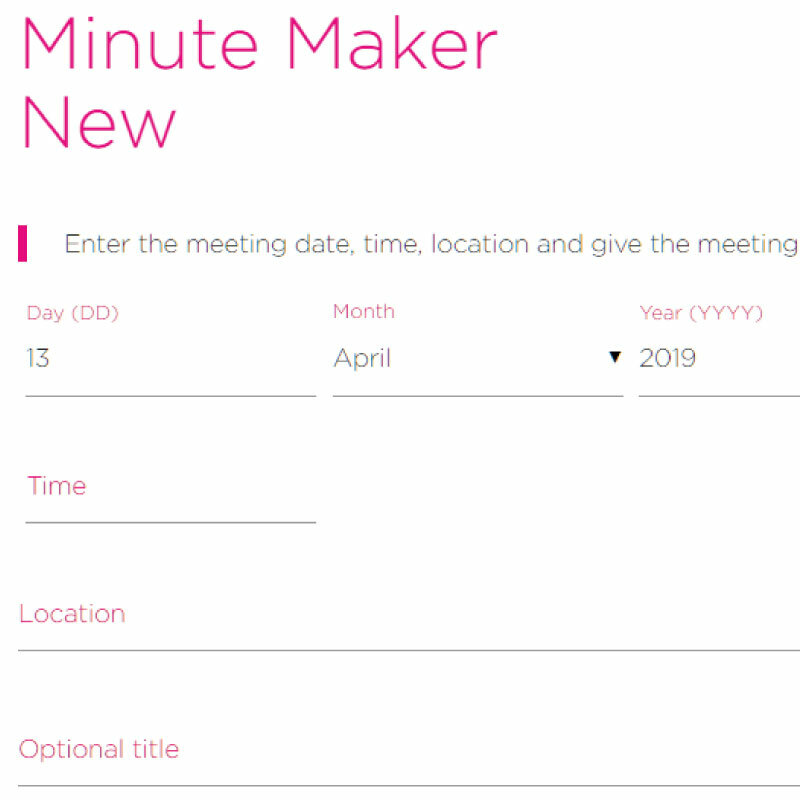 Another useful feature is the ability to copy the agenda items to the minutes. Our secretary creates the minutes live in our meetings! We are very aware of how the security of yours and your users' data is incredibly important. Every piece of data sent from and to Hoot Cloud over the internet is encrypted. What's more, all data stored on our servers is encrypted too. Our data centre is hosted in the United Kingdom on a network which guarantees 99.9% up-time. We backup every piece of data several times a day, and if something should go wrong, we have a robust and fast-acting plan to put things right. All Hoot Cloud team members are Enhanced DBS checked. Just another demonstration of how we know that your data in very sensitive and you do not want it to be handled by anyone who shouldn't be. As well as ensuring your data is safe, we know too that your users will have concerns. The European Union is in the process of introducing GDPR (General Data Protection Regulation), 'the most important change in data privacy regulation in 20 years'. We have poured over the legislation and made sure that the way we hold data, the questions we ask, the permissions we seek and most importantly what we do with the data when it's been used, all conform with the new rules. We've read the legislation and done the hard work for your peace of mind - and so you don't have to! ...a suite of powerful and innovative tools to help you organise your school Parent Teacher or Friend Association, group or club to communicate with your audience and make money.